View cart “TONYMOLY My Sunny Milky Sun Cream” has been added to your cart. My go to daily sunscreen. I really like this product because it doesn’t leave a white cast after application. It also doesnt have white flakes that peel off but isn’t too oily either. This sunscreen is suitable for dry/combination skin type. I don’t think individuals with oily skin type would like this sunscreen, however, this is my personal opinion as everyone has different skin type.As you apply it on your skin, it absorbs quickly and moisturizes without leaving any white cast like other sunscreens. For combination skin type, you don’t even need to put moisturizer, as this sunscreen is enough to moisturize your skin, however, for dry skin type, i recommend putting on moisturizer as it may not be enough moisturizing for very dry skin type. Also, this sunscreen has a very nice scent(orange) to it. Overall, I love this sunscreen and i highly recommend it to individuals with dry/combination skin type. This is sunscreen is very lightweight and doesn’t smell like the usual type of sunscreen where it just smells like chemicals. In my opinion, this sunscreen smells like clementines. It also doesn’t feel too sticky which I am grateful for because a lot of american sunscreens do and they are usually very hard to blend in. I would have to rub my skin really hard and that would usually irritate it but not with this sunscreen. This is my absolute favourite sunscreen. I’ve used many ‘high-end’ products in the past, but nothing compares to this product. It’s light weight, easily absorbed and leaves my skin moisturised, but not oily. As a plus, it even smells nice! I decided to try this product out because of the 5 star reviews and it totally deserves 5 stars. It smells really faintly of orange and it does not feel oily or sticky at all. It may leave a little bit of sheen but nothing powder won’t fix. If you are planning to but makeup over it I feel like it will be the perfect base. I would definitely recommend this for the quality and cheap pricing! The best sunscreen. It doesn’t leaves my face with a white cast and a sticky face. It make my makeup glides on smoothly and stay on more longer. Doesn’t make my face oily. I absolutely love this sun cream. It’s goes very nicely and smoothly onto the skin, and has a nice citrus kind of scent. I used to not like putting on sunscreen because of the sticky texture, but this sun cream makes me look forward to putting it on every morning. Doesnt feel sticky at all. I recomend it better for dry skins than oily ones. Doesnt have any scents. This is one of my favorite sunscreen because of how lightweight it feels and non-stickiness. It also does not give a white cast as most sunscreen and does not smell like most sunscreen. 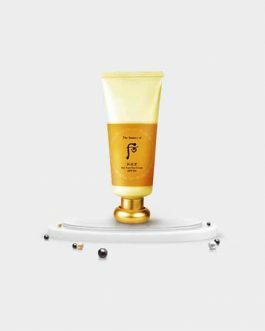 It has a slight fragrance, but it goes away after blending onto the skin. Once onto the skin and you begin blending, you can easily tell it blends right away and very smooth. My current favourite for now because I have a very sensitive skin and a lot of sunscreen just break me out my favourite used to be the loreal one but it has purple undertone which can make me very pale sometimes.This however looks like those which always break me out but it doesnt and is quite lightweight and i didnt have anymore freckles after using it I have already repurchase ? Feels very lightweight and not sticky at all! my skin doesn’t have that shiny, sticky look when I apply this sun cream! the smell is nice too- not too strong. Such a nice sunscreen for the price. I’d say it can replace Innisfree sunblock. It’s great! I love this sunscreen. I think the best part about this sunscreen is that it doesn’t smell like your typical american sunscreen. It has a scent of orange. Aside from this nice tangy smell, it doesn’t give you an oily finish, however, it’s not matte either. What I like about this sunscreen is that the sunscreen sets onto your face and doesn’t have that white cast leftover on your face. bought this one because i runout of my innisfree sunscreen and i want to try new sunscreen. my first sunscreen from this brand and became my current favourite sunscreen. doesnt leave a sticky feeling on my face, or shine like other sunscreen does. have a nice but overwhelming smell. not expensive and does the job. 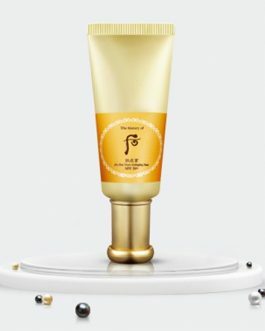 This was recommended by an ibbi staff as I was looking for a sunscreen that does not whiten my face but brighten it and that it will not leave sticky feelings on my face. It is cheap and it works like wonder. Sometimes, I apply it before any makeup and no products pill off from my face, i.e, no sunscreen flakes and it also gives me a natural grow when i apply it on top my ‘garnished”face. This sunscreen is light, perfect for putting on under makeup. It also does not have a sunscreen smell and does not leave a white-cast to the skin; it smells like oranges! Great buy. This sun block works really well! it feels light and not greasy at all. gets absorbed quickly and doesn’t mess up my makeup at all~! This a very liquidly sunscreen but at the same time it is not oily. It’s very easy to blend in and it doesn’t leave your face white. There is a slight scent, but I’m not bothered by it. The only down side is that it makes me break out a little (which I was not surprised because every sunscreen does that to me). finally a sunblock they doesnt leave my face white! the texture is not sticky(thank god) because i refuse to wear sticky sunblock before apply my makeup. Love this sunscreen! It feels really light and non-sticky when I apply it on my skin. It doesn’t make my face look white and it doesn’t smell like a typical sunscreen. Would definitely recommend this! This is a really nice sun screen! It doesn’t make my makeup look cakey and it doesn’t make my skin greasy and shiny looking throughout the day. Only problem is it kind of clogs my pores a little bit. I noticed a slight perfume scent so that might be the reason. I cannot recommend this product for people with sensitive skin. Glides on smoothly + no white cast. It smells pretty good and it doesn’t feel greasy on my skin. It’s watery but not tooo watery. nice and not oily at all. like a light moisturizer; very breathable and barely notice it’s on my face. Love it! The texture, the price. FYI I’m a really oily person and this sunblock is fine. 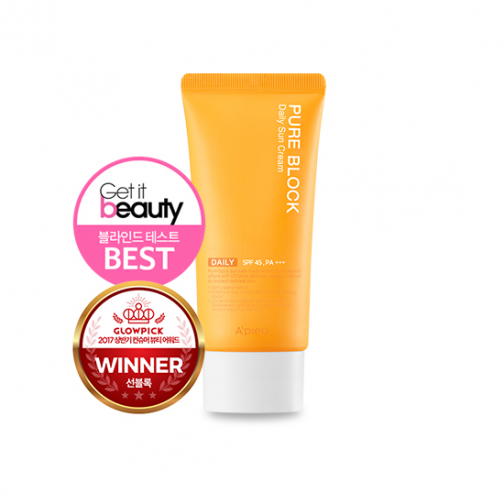 Of course it doesn’t prevent sebum but it’s just not greasy and does not leave a white cast which is great. I will definitely repurchase again. Isn’t heavy and doesn’t leave a white cast. I like how it sits on the skin and how it doesnt affect the texture of the rest of my makeup products. So far so good! Amazing sunscreen that is super light weight and does not disrupt foundation application. I have very sensitive skin and this one did not break me out so I’m definitely going repurchase! Great quality for such low price!! This sunscreen is amazing! No whitecast, no greasiness, no shine. I use it after my day cream and it lasts all day whitout making me shine at all. Super lightweight and absorbs fast. No white cast. Nice slightly citrus scent. 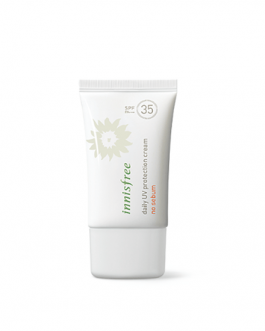 Great daily sunscreen and at such an affordable price! Has a great smell and makes my skin look really radiant, but it dries me out a little bit and makes me break out if I wear it a whole day. This is seriously the best sun cream I’ve ever tried. I have dry skin with redness tendencies and this product does wonder. I put it at the end of my routine each morning and it gives a glow to my skin and brighten it without leaving a white cast. I think the texture is perfect for every skin type. There is no greasy feeling when you touch your face and it will be an amazing base under your makeup (I’m not even putting primer since I am using this cream). 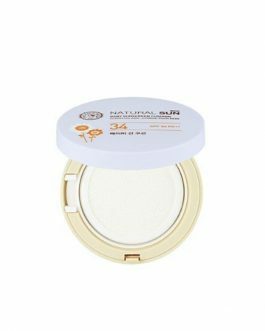 My cushion foundation and setting powder look good after I apply this sun cream and I think it allows my makeup to stay on longer. It’s just a shame that they didn’t expend the UV protection, like why not adding an extra 5 SPF and make it a SPF50 ? But this won’t stop me from buying another one when mine will be empty. In the pros I can also add the price which is not expansive and is worth the effectiveness of the sun block. I do not regret this purchase. However I will try the waterproof version to see if there is some huge difference and maybe it will be more convenient for summer. I bought this for my sister and she loves it! 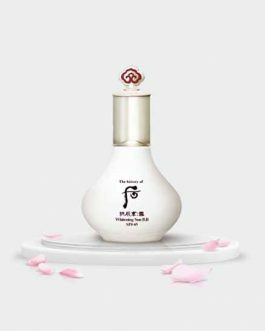 It has become her daily sunscreen as it does not leave a white cast, blends in easily, sits well under makeup and has a pleasant smell that does not resemble that typical sun screen smell. A great product with brightening effects on the skin. Applies with a slight glow (which is my preferred look anyway) but is incredibly long-lasting for a sunscreen – wore it for about 12 hours straight on my face without anything else (just a bit of eyebrow product) and the ‘look’ was still there at the end of the day! Despite the thicker texture (as compared to sun ‘essences’ like those from Biore), it blends well with makeup. Definitely recommend this for most skin types (except skin that is very oily)! I really like this sunscreen. I feel like korean sunscreens are better than wester ones. It doesn’t leave a white finish and doesn’t get clumpy. And most important for me this is that it doesn’t dry my skin. It has a pleasant scent and a really nice texture. Recommend it !!! A pretty good sunscreen. I have acne-prone skin and I really like this product. It is unscented and not too oily after application. It is quite moisturizing and good for dry skin. It feels mild and doesn’t have that alcohol scent. Many lightweight sunscreens in the market has alcohol in them so this one would be a good alternative if you have sensitive skin. My favorite sunscreen! 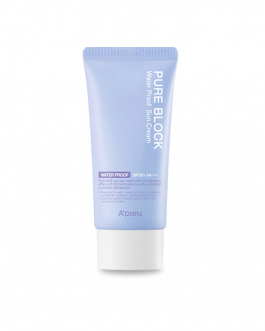 This does not leave any white cast and is not greasy or sticky on the skin. It is also not drying. Has a really subtle scent, which is good. Really recommend buying this and will definitely be repurchasing in the future. i like how smooth this sunscreen goes under makeup, and it does not make my skin oily like other more expensive brands sunscreens, so i would recommend it. 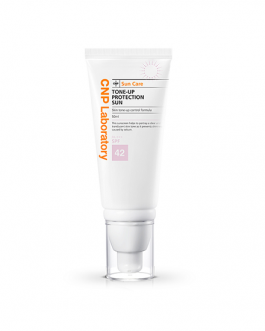 Great sunscreen for oily skin – no oily residue/ white cast or breakouts and that’s saying a lot as a lot of sunscreens break me out. I love it under makeup as it keeps me matte for longer. Great basic sunscreen with a medium viscosity and a nice smell. My favourite sun screen so far! It glides on smoothly and is easy to apply. Best of all, it doesn’t leave my skin feeling dry or have a white cast. It seems quite gentle, so it’s good for dry/sensitive skin. It also goes on great under makeup. It can be a bit greasy at first but I usually apply some powder over it and it’s fine – and it’s certainly not as greasy as some other sun screens I’ve used in the past. I’m super picky when it comes to sunscreen because I hate the feeling of something sticky and thick. This sunscreen doesn’t give me that feeling though so I can wear it everyday. Easy to blend in, does not have a white cast, and can wear under my makeup. This is a really good sunscreen for oily skin. It isnt too heavy and doesnt cause me to break out. 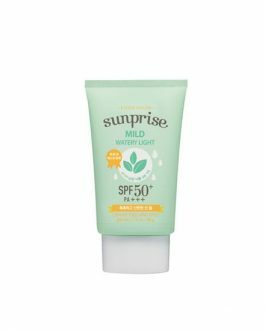 I have super sensitive skin and this is my go to sunscreen! Good sunscreen, light and moisturising. It doesn’t leave a white cast, which is so important for me & It also smells like mandarins! Something that freaked me out in the beginning– but now I’m pretty cool about it. i got lots of recomand about this product. so finally i buy this. and im sooo satisfied. it feels like just jell. it doen’t feel sticky but very smooth. the color is white but it doen’t make my face white color. also this suncream makes my face cool little bit like aloe. i like the smell. i don’t know exactly what smells like but it smells so fresh and nice. i love it!! This is not my first time buyng this sun cream, it’s perfect for dry skin, it feels soothing and has a liquid texture, so you don’t risk overstimulating your skin when you apply it, it turns out to be quite useful during allergy season because my skin becomes easily sensitive. I use this sunscreen on a daily basis and I really like it. My skin is pretty oily, but the sunscreen isn’t heavy or sticky at all! It is very light and sinks into your skin pretty well. The smell is really pleasent as also. Does the job! Can be applied before makeup. Has a white color, also a light scent. Texture itself is medium, not too thick but not too watery. But the formula is gentle and doesnt block pores. I would recommend for all skin type! Definitely a good sunscreen for the price! Great sunscreen, and it is lightweight! Perfect for daily protection from the sun and its size makes it great for traveling and portability! I’m so in love with this sun cream. 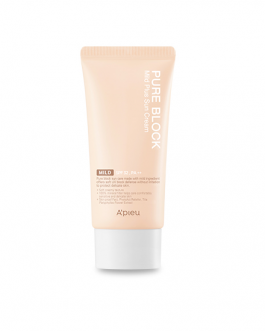 Although it’s watery texture, it still moisturizes very well and doesn’t leave any white cast. Good choice for the summer! My favorite sunscreen ever!!! Its so lightweight and moisturizing. It did not affect my makeup at all. I LOVE THIS SUNSCREEN! It has a really nice citrus smell which calms me and makes me crave for orange. It doesn’t leave a white cast and it really convenient for daily use! The suncreeen has a very faint orange scent which is nice and it applies/dries smoothly. When I touch my face, it’s very soft because of the sunscreen. I’m not sure if it’s doing it’s job (to protect my skin) but it’s very light weight and pleasant. I haven’t tried makeup ontop of it yet so I’m not sure but after applying the suncream, I don’t even feel ornate on my face which is great! I have a combination skin and usually sunscreen formulations make me either break out or shiny. This sunscreen is the best I have ever used. It smells great, non-greasy, and does not break me out. All in all, it follows through on all the claims it makes, that’s why 5 stars. This was the first thing I used when it arrived! I can say that it works true to its words! Totally in love & it gives me a matte finish instead of a dewy one which is a plus for me. Smells like oranges to me, very soft citrus scent that lingers on your skin. It’s very smooth and spreadable indeed, it lasts all day if you have a primer underneath. I have oily skin and it kind of makes me more oily. Oh, and it’s gentle enough for babies! I can see why this product is so popular in Korea. It is light, but moisturizing for my dry skin. It spreads out very nicely, has a very subtle scent, and doesn’t make your face white as a ghost. Also, it didn’t give me any irritations to my skin. My skin type is a bit oily. And this sunscreen is not matte finish.The texture is like face cream but non greasy. It is a bit hydrated kind. It is nice to use it under makeup or in winter season. This product manages to keep my skin moisturized and not over oily during the summer. I usually do not wear moisturizer after I wash my face which is know is bad but I put sunscreen on afterwards and this product leave my skin feel moist and a good base for my foundation. It makes my skin looks flawless with makeup on top. And it helps it stay on all day with just one touch up! Would definitely repurchase in the future! amazing product! it’s really light and non-sticky, also it doesn’t make my face look white and it doesn’t break me out. smells amazing and i would definitely recommend this! This is the first sunscreen to protect my skin without breaking me out and clogging my pores. It’s a chemical sunscreen so it doesn’t leave a white cast over my skin and the texture is very light. It has a slight fragrance, but nothing strong,so it will not be irritating even to sensitive skin types. I have combination to oily skin and this didn’t disrupt my makeup and didn’t make me shiny. Great sunscreen I use it daily! It doesn’t make my face as white as other sunscreens. It didn’t make it look oily either. Just a natural glow. I love everything about this sunscreen so far. Particularly the smell, I really like the fresh smell of oranges. It is lightweight and I use it every day for a month now. I haven’t experienced any break outs or irritation etc. This doesn’t ruin my makeup throughout the day, but it can make you a bit shiny if you have oily/combination skin. This is still my favorite sun cream. My skin is dry, and during spring it gets itchy because of allergies, this cream is soothing and hydrating and just all around comforting. It does not leave a white cast, and behaves well under makeup. The sunscreen has a very light and gel-like consistency. I have combination skin, and it doesn’t make me breakout or look oily after applying it. It’s my go-to daily sunscreen, and it works great under makeup as well! I love this Sun cream.i have oily t zone and dry skin but this works well. perfect!perfect! perfect! best sun cream for all skin type! I love this sun cream. It’s my second one now. In Germany you can only buy sun cream from Nivea or some other cheap brands. Unlike to Nivea this one is moisturizing and also light to use. I use it almost every day even in winter. 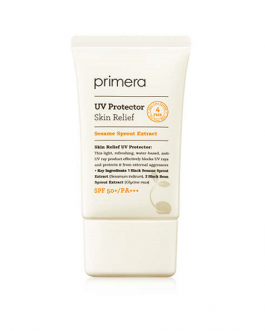 A good sunscreen that does its job without being it pricey! This sunscreen is really nice. The smell is citrusy, but not overpowering. The consistency is really nice. When applying to the skin, it absorbs really quickly. This sunscreen is really like and you almost couldn’t feel the ickiness you feel from other sunscreens.